As one of Dubai's specific freehold zones, Dubai International Media Production Zone (IMPZ) is designed to offer a clustered and interconnecting work environment for media production companies and residential developments in the heart of commercial Dubai. Fortune Serene is all that the name suggests and more - luxury apartments in a peaceful location, yet practically in the heart of the one city where anything is possible! The Ivory Tower, a dynamic 19-storey luxury residential tower located in the heart of the International Media Production Zone and has custom designed units to suit your needs. The appeal of Lago Vista 2 is in the charms of nature blended with an architecture inspired by Mediterranean Living. In the well-appointed chambers of your home with every detail that tells of care and a choice of furnishing that indicates class within the warmth of home. The development of Lakeside is the third and latest residential development in Dubai�s International Media Production Zone (IMPZ). 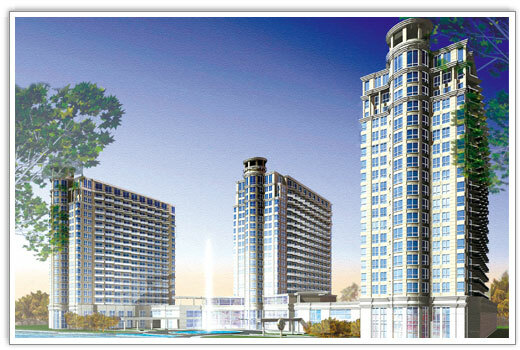 The complex comprises of four 22-storey towers built around a semi-circular portico, surrounded by manicured lawns and picturesque vistas. The eclectic design of the buildings mirror contemporary turrets. The Crescent creates a special world of its own with state-of-the-art facilities within a thoughtfully developed environment just off Emirates Road. It is splendour and luxury that you've never experienced before at your own private getaway.